Description: This Blackout Cordless Cellular Shade will dress any window and give your home, office or media room an elegant and classic look. 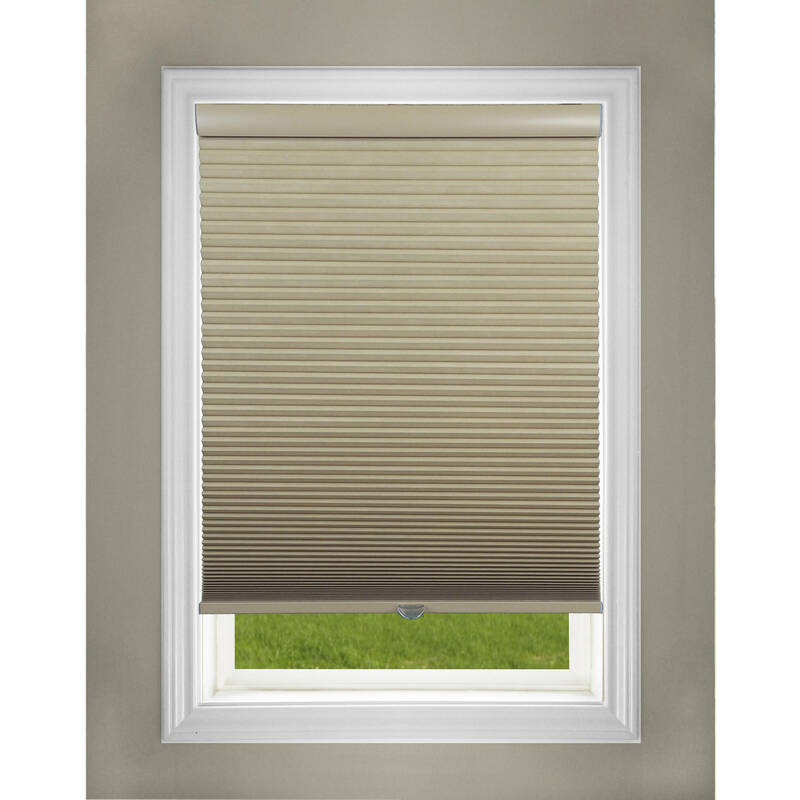 These shades feature a blackout designed and safe cordless system to provide maximum privacy and safety for your loved ones. These shades have been Certified by Parents for Window Blind Safety and WCMA-Best for Kids Commission to be safe solutions for homes and institutions with young children and pets. The lightweight design makes it easy to lift and lower the shade with one hand. Install inside or outside the window frame with included mounting hardware. Offered in a variety of colors, there is a wide assortment of sizes and heights to fit most windows. This Blackout Cordless Cellular Shade will dress any window and give your home, office or media room an elegant and classic look. These shades feature a blackout designed and safe cordless system to provide maximum privacy and safety for your loved ones. These shades have been Certified by Parents for Window Blind Safety and WCMA-Best for Kids Commission to be safe solutions for homes and institutions with young children and pets. The lightweight design makes it easy to lift and lower the shade with one hand. Install inside or outside the window frame with included mounting hardware. Offered in a variety of colors, there is a wide assortment of sizes and heights to fit most windows. Enter the details of an online store that carries UPC 766686900897 below. The store's URL must go to a valid product page that has the product displayed with pricing information.